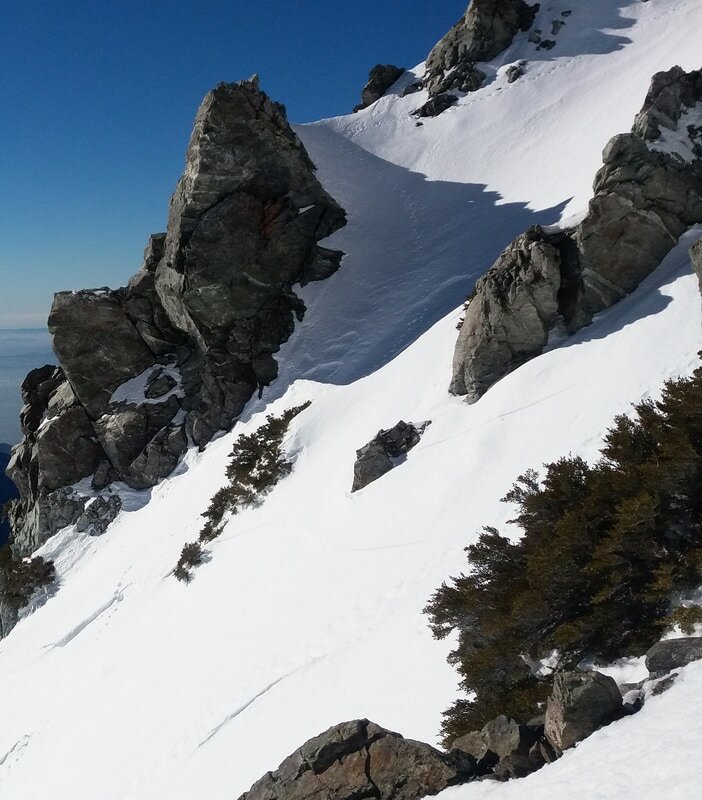 This comment is not a deep report on the snowpack, but only a superficial description of the conditions I encountered in Baldy Bowl, written by a normal ski-mountaineer, not a snow technician. Be aware that my technical terminology in English is not correct, and that my considerations are valid only for the TIMING of my tour. 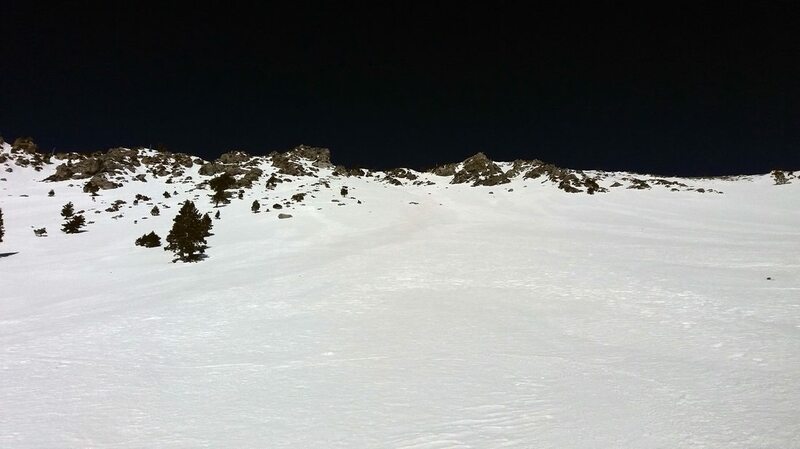 Due to the hard snow I didn’t use my skins to ascend , but only boots: without crampons until the hut and with crampons above the hut. - in the last 50 meters under the ridge (I exited on the ridge between Procrastination and Zeke's Chute) there were some consolidated some-days-old wind pillows, recognizable and avoidable, and some cracks. The cracks, actually their visible part, were approximately 5-20 cm deep, 2-5 cm wide, 2-10 meters long. The snow in such part was firm at 9.15 am, and superficially softened (1 cm) at 10.00 am.